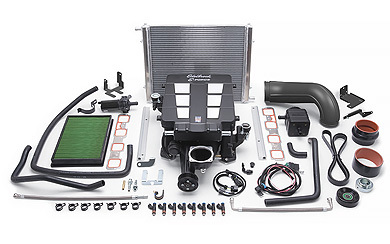 Give your dodge ram truck more towing power with our new E-Force Supercharger. E-Force supercharger Supercharger systems are the most efficient designs on the market and will deliver an impressive 421 rear wheel horsepower and 441 ft-lbs. of torque for the popular Dodge 5.7L HEMI engine. 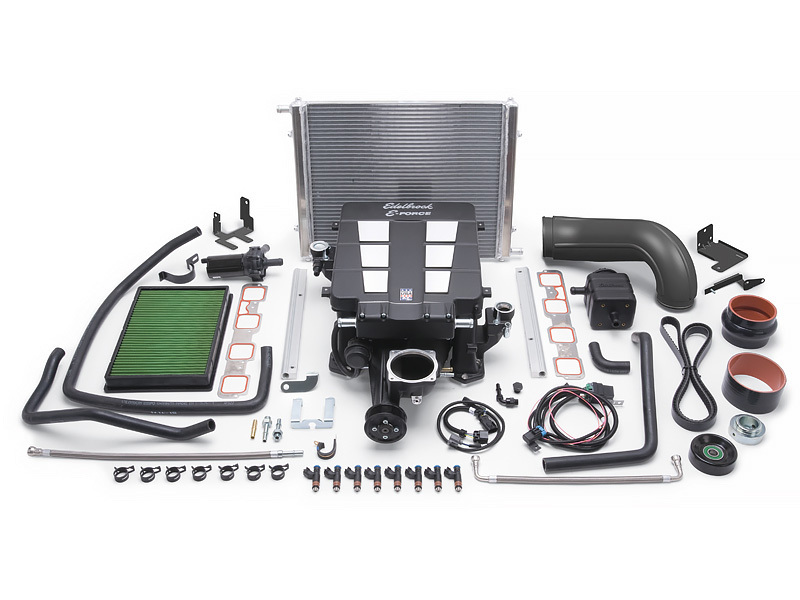 This complete supercharger system provides maximum flow, minimum temperature rise, quiet operation and reliability only the Edelbrock name can guarantee. It features minimum air restriction in and out of the supercharger for optimal flow and performance. The individual 7" long intake runners allow for maximum low end torque for towing and off-road applications while maintaining great daily driving manners.